Texas FM, Lubbock's Only Stomping Ground for the Best inTexasCountry! Neely Yates and David Wilde play the Biggest TexasCountryHits and are Your Direct Connection to the artists ofYesterday andToday! Texas Country at it's Best! 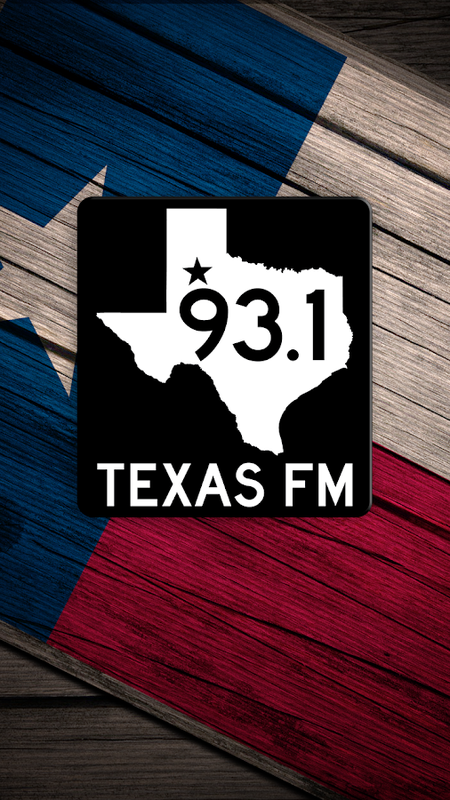 Texas FM 93.1!! Magic 106.5 Lubbock’s Numero Uno Tejano Hit Station. The voice ofthe Hispanic Community. Listen LIVE, see the Top 20 songs and thelast 10 songs played plus read about the DJ’s. Carry Tejano fromLubbock, Texas everywhere you go! Noticiero Telemundo 2 KASA es el único noticiero local en españolen la región de Albuquerque y el estado de Nuevo México .Transmitiéndole noticias de lunes a viernes a las 5 y las 10 de lanoche y a través de esta aplicación. Magic 93.7 Lubbock’s Numero Uno Tejano Hit Station. The voice oftheHispanic Community. Listen LIVE, see the Top 20 songs and thelast10 songs played plus read about the DJ’s. Carry Tejano fromLubbock,Texas everywhere you go! The free Lubbock, Texas app you're looking for is here! Stayupdated with the latest news, weather, sports, entertainment andmore from Lubbock, the South Plains, Texas and the nation. Watchvideos, submit your news tips and interact all with the FOX 34 app. 80s 90s Now, 107.7 "YES FM" Android application. Pop hits from the80s, 90s and Now. The free Lubbock, Texas sports app you're looking for is here! Stayupdated with the from The Texas Tech Red Raiders, Big 12, DallasCowboys, Texas Rangers, Frenship Tigers, LISD Sports, and otherarea sports from across the South Plains, Texas and the nation.Watch videos, submit your news tips and interact all with theDoubleT 97.3 app. 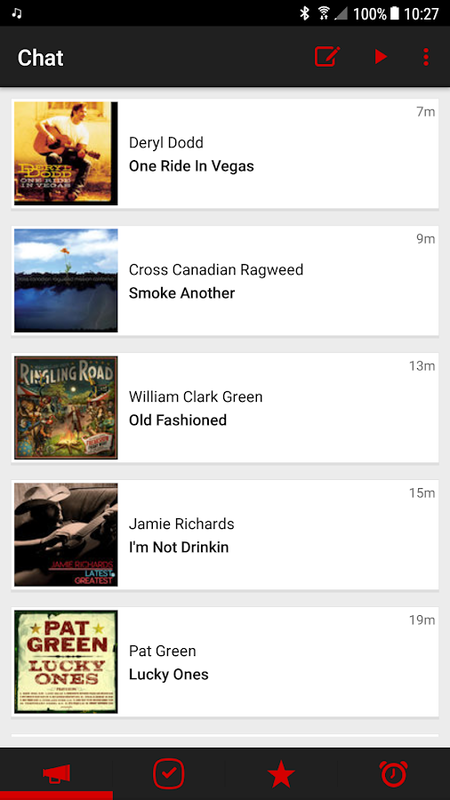 Lubbock's Classic Hits, 93.7 "The Eagle" Android application.Classic Hits from the the 60s, 70s and 80s. Noticiero Telemundo Lubbock es el único noticiero local en españolen la región del oeste de Tejas. Transmitiéndole noticias de lunesa viernes a las 10 de la noche y a través de esta aplicación. Hello Wishers! We're giving another WISHclusive gift just for you!The new and beefed up, Official Wish 107.5 App! It containsrewards, perks and features just for you. Enjoy! Rasmey Hang Meas FM 95.7MHz and Hang Meas FM 104.5MHz are one ofthe popular live radio stations from Phnom Penh, Cambodia. Now allCambodians around the world can enjoy with the official radio Appfrom Rasmey Hang Meas FM 95.7MHz and Hang Meas FM 104.5MHz on thepalms. Everywhere, Everyone can enjoy the best radio shows andsongs from all the productions, Hang Meas, Rasmey Hang Meas, PlengRecord and We Productions from Hang Meas Group. Rasmey Hang Meas FM95.7MHz and Hang Meas FM 104.5MHz allows you to listen and enjoyvariety of the best radio shows, songs, music, talks, news, comedy,and other variety of programs available live by from our radiochannel from Phnom Penh, Cambodia. We provide this app for FREE.Like us on Facebook (Rasmey Hang Meas FM 95.7MHz):www.facebook.com/ReasmeyHangMeas957/?ref=hl Like us on Facebook(Hang Meas FM 104.5MHz): www.facebook.com/Hangmeasradio/?ref=hl Forany suggestions/ query/ problem in app? Write to us [email protected] or call us at 023 452 3333 for advertising. **NOTE** Please be advised this app consumes internet data makesure you have subscript the data package from your phone providers. Download radio station Q107's free mobile app, and stay up to dateon all that is happening at the station, as well as request yourfavorite song and connect instantly to our facebook and twitter!Check out our Q-Tube, and jam out to our Funkadelic Friday! Ghana Music radio is one of the biggest collection of Ghana News,music and FM radios. Ghana Music and radios brings collection ofyour favorite Ghanaian radios and FM stations, streaming live .Nowenjoy listening to the online Ghana radio music broadcasts andmusic from Ghana on your android phones and tablet devices withjust tap of a button, no matter where you are. Best of all, you getto access all this for free !! Download now and Tune in to yourfavorite radio stations and listen live. Ghana's Music Radio andnews sources include: Nhyira FM Adom 106.3 Radio of Ghana AnidasooRadio- Top Ghana Music Highlife Radio- Collection of Ghana MusicAdikanfo FM- Ghanaian hit station Modern Ghana Radio Ghana LiveRadio Sankofa Music Radio Ghana Waves Radio Ghana Gospel Radioonline Peace FM Ghana Ghana Expo radio online Accra Ghana Luv FMGhana Pink FM Ghana Y 107.9 FM Ghana Ghana's Best Akwaaba RadioSunlight Radio- Ghana Music and many more music radios from GhanaFeaturing news from Ghana news agency PS: All the radios streamsare live streams and therefore will only be available 24 hours ifthe radio stations broadcast 24 hours. Those stations thatbroadcast limited hours will be available only when it isbroadcasting live in local time. Radios won't be available forstream when it is offline and occasionally during servermaintenance and other downtimes. If the radios are not working orresponding please try it again later, these are temporaryinactivity.Internet connection is required to stream any radios.Love Ghana Radio Music? Leave us a review and let us know what youthink . We love Ghana Music and Radio. Listener-Supported Classical Music in 5 Channels – Listen to theNorthwest’s classical music station. Founded in 1948, ClassicalKING FM ranks as one of the top 5 American classical radiostations. The listener-supported public radio station serves thePacific Northwest community and a global audience with on-air andonline programs that enrich, enlighten, and showcase the PacificNorthwest arts community to the world. KING FM continues to be atthe forefront of technology, reaching a global audience with fiveonline channels: KING FM 98.1 – Seattle’s classical choice online.KING FM Evergreen Channel – Relaxing classical favorites 24/7. KINGFM Symphonic Channel – Your online concert hall featuringfull-length symphonies. KING FM Opera Channel – Full-lengthrecordings hosted by the experts at Seattle Opera. Second Inversion– Rethink classical. Aruba Radio carry with the hottest radio stations in the island.With a wide selection of music, the group offers DJ's, 80 - 90 -00', R&B, Dance and Reggae. The main target group at whichAruba Radio aims is young adults between the ages of 20 and 45years old. 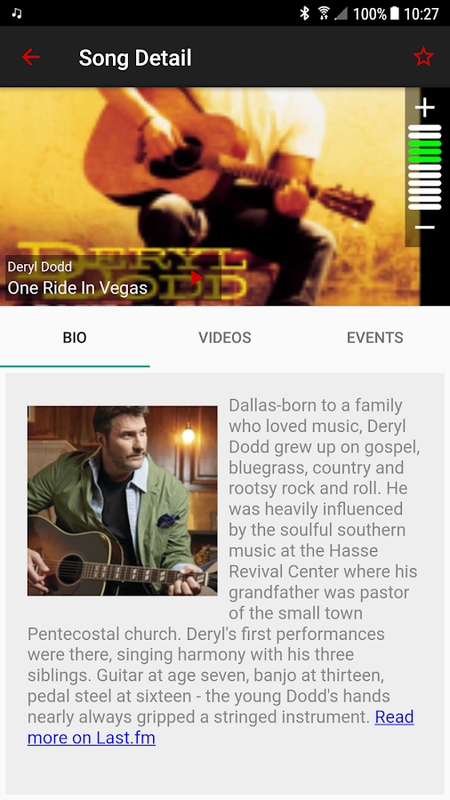 A broad variety of music, shows and live events are nowin the palm of your hands!